Chinese VPN Service as Attack Platform? Hardly a week goes by without a news story about state-sponsored Chinese cyberspies breaking into Fortune 500 companies to steal intellectual property, personal data and other invaluable assets. Now, researchers say they’ve unearthed evidence that some of the same Chinese hackers also have been selling access to compromised computers within those companies to help perpetrate future breaches. The so-called “Great Firewall of China” is an effort by the Chinese government to block citizens from accessing specific content and Web sites that the government has deemed objectionable. Consequently, many Chinese seek to evade such censorship by turning to virtual private network or “VPN” services that allow users to tunnel their Internet connections to locations beyond the control of the Great Firewall. Security experts at RSA Research say they’ve identified an archipelago of Chinese-language virtual private network (VPN) services marketed to Chinese online gamers and those wishing to evade censorship, but which also appear to be used as an active platform for launching attacks on non-Chinese corporations while obscuring the origins of the attackers. Dubbed by RSA as “Terracotta VPN” (a reference to the Chinese Terracotta Army), this satellite array of VPN services “may represent the first exposure of a PRC-based VPN operation that maliciously, efficiently and rapidly enlists vulnerable servers around the world,” the company said in a report released today. 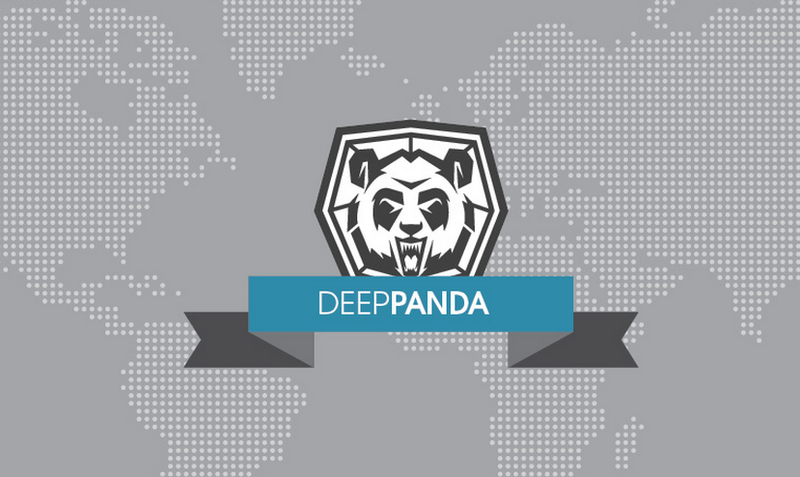 The hacker group thought to be using Terracotta to launch and hide attacks is known by a number of code names, including the “Shell_Crew” and “Deep Panda.” Security experts have tied this Chinese espionage gang to some of the largest data breaches in U.S. history, including the recent attack on the U.S. Office of Personnel Management, as well as the breaches at U.S. healthcare insurers Anthem and Premera. According to RSA, Terracotta VPN has more than 1,500 nodes around the world where users can pop up on the Internet. Many of those locations appear to be little more than servers at Internet service providers in the United States, Korea, Japan and elsewhere that offer cheap virtual private servers. But RSA researchers said they discovered that many of Terracotta’s exit nodes were compromised Windows servers that were “harvested” without the victims’ knowledge or permission, including systems at a Fortune 500 hotel chain; a hi-tech manufacturer; a law firm; a doctor’s office; and a county government of a U.S. state. 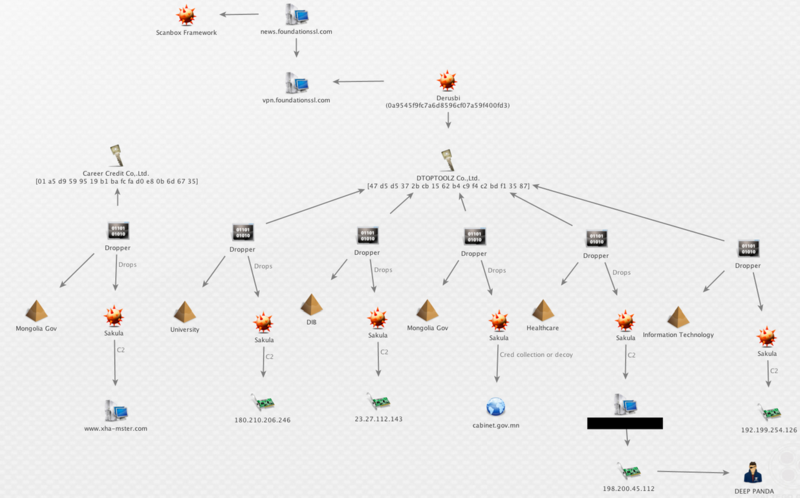 The report steps through a forensics analysis that RSA conducted on one of the compromised VPN systems, tracking each step the intruders took to break into the server and ultimately enlist the system as part of the Terracotta VPN network. RSA says suspected nation-state actors have leveraged at least 52 Terracotta VPN nodes to exploit sensitive targets among Western government and commercial organizations. The company said it received a specific report from a large defense contractor concerning 27 different Terracotta VPN node Internet addresses that were used to send phishing emails targeting users in their organization. RSA’s report includes a single screen shot of software used by one of the commercial VPN services marketed on Chinese sites and tied to the Terracotta network, but for me this was just a tease: I wanted a closer look at this network, yet RSA (or more likely, the company’s lawyers) carefully omitted any information in its report that would make it easy to locate the sites selling or offering the Terracotta VPN. RSA said the Web sites advertising the VPN services are marketed on Chinese-language Web sites that are for the most part linked by common domain name registrant email addresses and are often hosted on the same infrastructure with the same basic Web content. Along those lines, the company did include one very useful tidbit in its report: A section designed to help companies detect servers that may be compromised warned that any Web servers seen phoning home to 8800free[dot]info should be considered hacked. Premera Blue Cross, a major provider of health care services, disclosed today that an intrusion into its network may have resulted in the breach of financial and medical records of 11 million customers. Although Premera isn’t saying so just yet, there are indicators that this intrusion is once again the work of state-sponsored espionage groups based in China. In a statement posted on a Web site set up to share information about the breach — premeraupdate.com — the company said that it learned about the attack on January 29, 2015. Premera said its investigation revealed that the initial attack occurred on May 5, 2014. 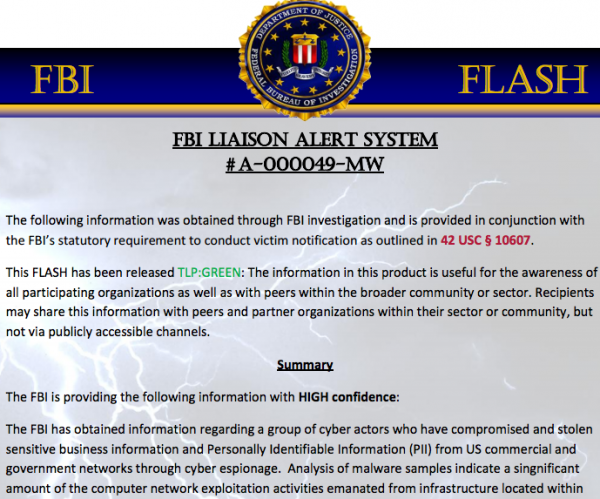 “Our investigation determined that the attackers may have gained unauthorized access to applicants and members’ information, which could include member name, date of birth, email address, address, telephone number, Social Security number, member identification numbers, bank account information, and claims information, including clinical information. This incident also affected members of other Blue Cross Blue Shield plans who sought treatment in Washington or Alaska. Premera said it will be notifying affected customers in letters sent out via postal mail, and that it will be offering two years of free credit monitoring services through big-three credit bureau Experian. The health care provider said it is working with security firm Mandiant and the FBI in the investigation. 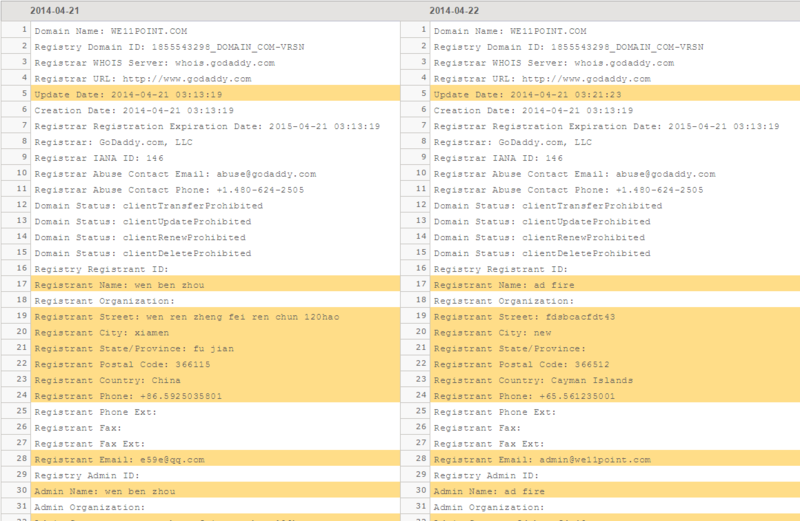 Mandiant specializes in tracking and blocking attacks from state-sponsored hacking groups, particularly those based in China. Asked about clues that would suggest a possible actor involved in the breach, Premera deferred to the FBI. “Cybercrime remains a significant threat and the FBI will continue to devote substantial resources and efforts to bringing cyber criminals to justice,” the FBI said in an emailed statement.